Whether before the game or a fun gathering in your backyard, your favorite music makes it a special occasion. 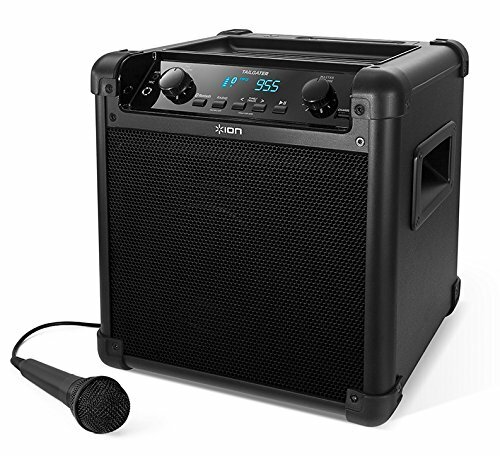 Tailgater makes these events truly memorable with great sound, thanks to its 2-way speaker system and 50-watt dynamic power amplifier. You can stream your favorite music from any Bluetooth device, enjoy its built-in AM/FM radio, or create your own memories with the included microphone. With a USB powerbank to recharge your devices, 1/8” (3.5mm) aux input for non-Bluetooth devices and a rechargeable battery with up to 50 hours of enjoyment on a single charge, Tailgater always delivers the fun. NOTE: This product DOES NOT have wheels,Please refer the instructional videos under image section and user manual under the product description for user support.